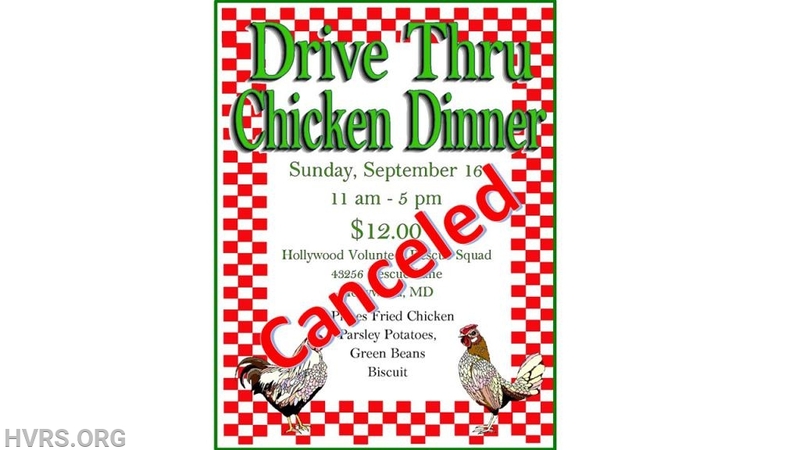 Drive Through Chicken Dinner- CANCELED!!! The rescue squad will be sponsoring a drive through chicken dinner on Sunday, September 16 at the squad building. Dinners are $12 and consist of 4 pieces of chicken, parsley potatoes, green beans, roll and cookie.